Kenley received her 200hr RYT Certificate from Semperviva Yoga in Vancouver in 2014 and received 95hrs of Children’s Yoga Teacher training in 2015. 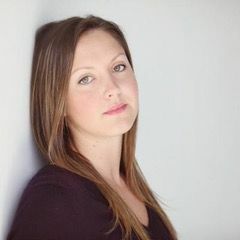 She has been a ballet teacher since 2006 and in 2010 she received her Bachelor of Arts from the University of Calgary with a specialization in Ballet and Associate Certificate from Cecchetti International Classical Ballet. Kenley's classes range in energy from calm and mindful to fun and playful. She loves to connect with her students (children, teens and adults) in a genuine and honest way, offering an ear to listen and guidance if asked. For Kenley, building an understanding in the importance of community, self-love and mindfulness is a special opportunity; she works hard to ensure that her students develop the skills to bring these practices into their daily lives. She believes the more we sweat, the closer we get to our hearts and our deepest desires. By incorporating a strong practice with moments of silence and stillness she hopes to create a space where students feel safe and comfortable to truly be in the present.